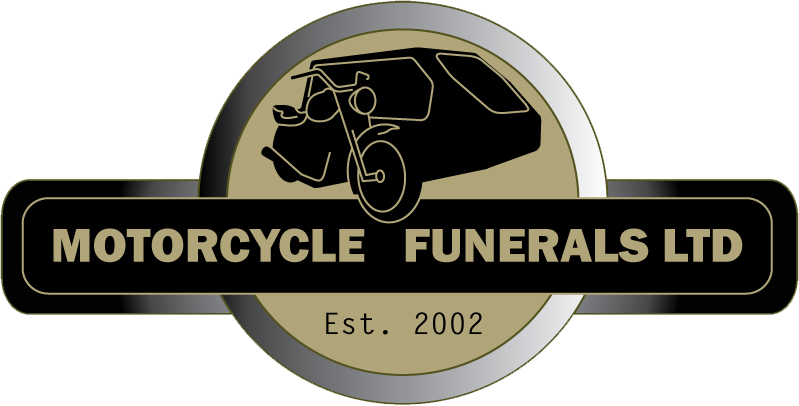 William Emery & Sons are very pleased to offer this service in association with Motor Cycle Funerals Ltd. Traditionally styled this ‘Proper British Hearse’ with it’s ‘Proper British Bike’ was built completely in the UK and is popular with the broadest spectrum of people and motorcycle enthusiasts alike. As with all British Specification hearses and the rest of the fleet it has a Funeral Director’s pillion seat, flower rail, Health and Safety Hearse fittings, internal temperature control for warm weather and de-misting, a leather surround and a combination of glass roof and internal lights to display both flowers and artifacts. 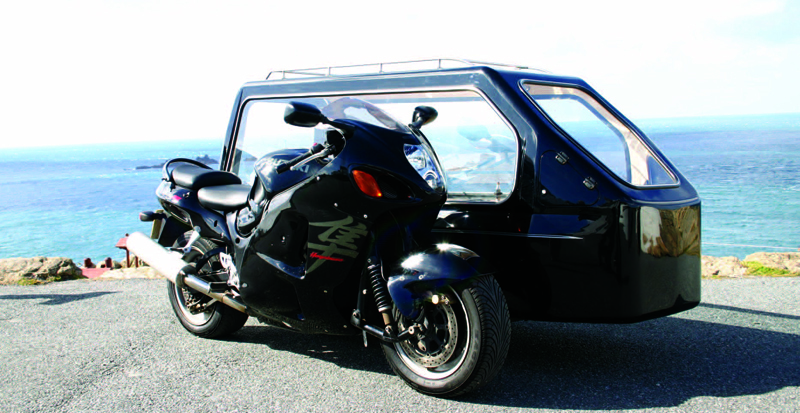 The Suzuki Hayabusa hearses provide the Ultimate Send Off for the Ultimate British Racing Rider. Fast and sleek the original was so popular with racers, marshals and sport enthusiasts Motor Cycle Hearses Ltd had to build a second one to cope with the demand. 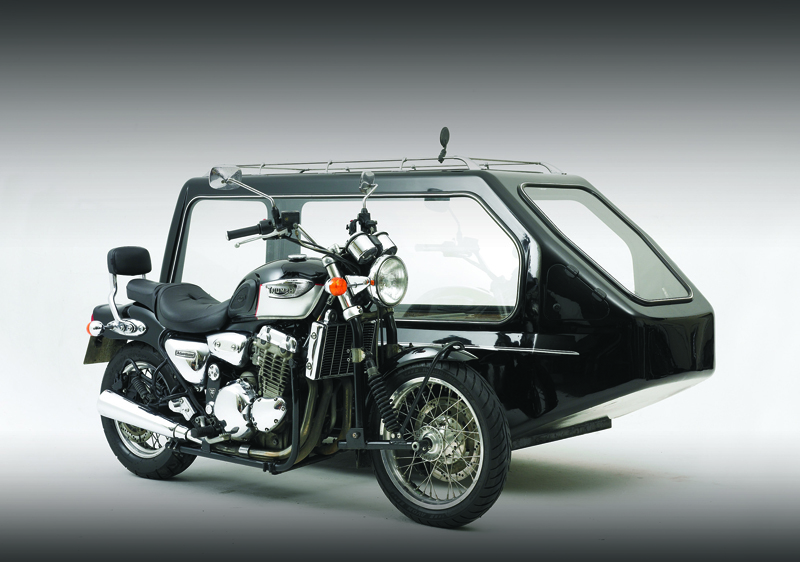 The original Hayabusa still holds the UK Record for fastest hearse and both can easily do The Ton, but this is dependent on finding a suitable place, the law and the weather. This is the Legendary Harley Davidson Electro Glide Hearse. 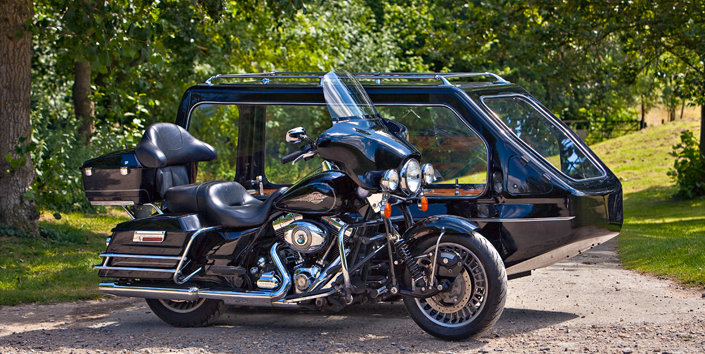 Over the last ten years Harley Davidson hearses from Motorcycle Funerals have been featured on ITV’s Breakfast TV, Look North on BBC1, Inside Out on BBC1, and numerous TV regional news programmes.